A former Fox News anchor filed a defamation lawsuit on Thursday over comments by Bill O'Reilly it says were meant to damage the reputations of women who have accused him of harassment. The suit by Laurie Dhue in federal court in Manhattan accuses O'Reilly of engaging in a "smear campaign" against his accusers after the former prime-time star or Fox settled their claims for millions of dollars. At least three other women have filed similar suits. 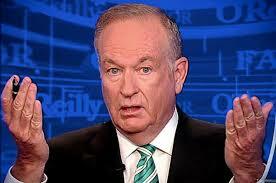 "As part of his desperate campaign to clear his name, O'Reilly published false statements about Dhue . calling her a liar, swearing that her allegations were fabricated in an effort to obtain a settlement," according to the suit, which seeks unspecified damages. It also accuses him of "falsely asserting that her purported claims against O'Reilly were politically motivated." Fox ousted O'Reilly last year after The New York Times reported that at least five women with professional ties to him had received payouts totaling $13 million to settle claims of sexual harassment and other misbehavior. The newspaper said Dhue received $1 million. There was no immediate response on Thursday to a request for comment from one of O'Reilly's lawyers. In court papers filed earlier this week in the suits brought by the three other women, his lawyers called the defamation claims "frivolous and wholly unsupported in law or fact."